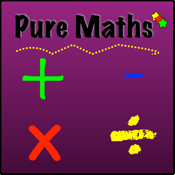 Pure Maths is Just Maths. No timers or multiple screens. Just start it up and practice maths. Pure is simple. Simple is powerful.